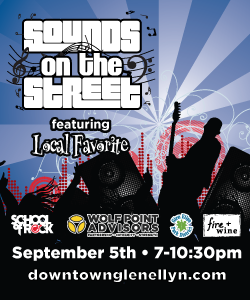 Celebrate the end of summer in Downtown Glen Ellyn at Sounds on the Street! The music of Local Favorite and the School of Rock will be featured, jamming to the best summer hits. The live concert will start at 7pm with the School of Rock on Main Street, between Hillside and Duane. Enjoy bringing your local fare and libations out onto the street from the participating restaurants, including Tap House Grill, Santa Fe, fire + wine, Blackberry Market, Shannon's, and Cab's Wine Bar Bistro. If we have to say "goodbye" to summer, this is a festive way to do it. See you there! Good things come in threes! Like little pigs, French hens, feet in a yard, and a successful and joyful run in Glen Ellyn! 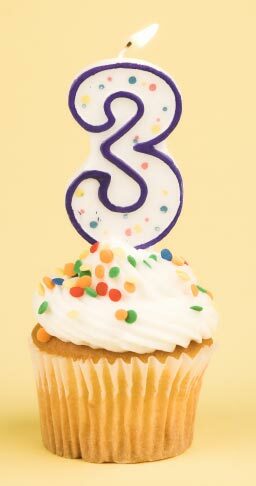 Join Marcel's as we celebrate our Third Anniversay on Friday, September 26th! We will be celebrating all week long, from Monday, September 22 through Sunday, September 28th.This will be the most fun ever!! Make sure you stay tuned to your Marcel's emails to learn of our fabulous celebratory events. As always, we are thankful to each and everyone of you, our faithful friends and supporters, for making this day happen! Let's continue to Cook, Create and Celebrate together! Just when we were starting to regain humble composure after being named Best Cooking School for Date Night by Chicago Magazine's 2014 Best of Chicago Awards, Marcel's has been tagged again! Marcel's has been awarded the Daily Herald Business Ledger's 2014 Entrepreneurial Excellence Award for Innovation. The Entrepreneurial Excellence Awards recognizes and builds entrepreneurship in Chicago, including Cook, DuPage, Kane, Lake, McHenry and Will Counties. Honorees demonstrate the best traits of enterpreneurship including willingness to take risks, drive, perserverance, and business creativity. Thank you, Daily Herald Business Ledger for recognizing Marcel's in the Innovation category and thanks to the DuPage Convention and Visitor's Bureau for nominating us. We're honored! You are all familiar with the fragrant, fresh and fantastic Tussie Mussies available at Marcel's every Friday of the growing season. Now we would like to introduce you to the creative force behind them, Brooke Ryan. Brooke and her family are native Australians. In Australia, Brooke was a Certified Landscape Architect. She worked on public projects, reforesting parklands and roadsides with native plantings and eco-friendly drainage systems. But Brooke's passion was her own garden, and so she would create Tussie Mussies to sell at a local farmer's market every week. Four years ago, Brooke's family was relocated to the Glen Ellyn area when Brooke's husband took a new job at a local horticulture company. Brooke's passion became Marcel's good fortune when the two met! Tussie Mussies, or nosegays, have existed in some form since medieval times when they were worn or carried around the head or bodice. A woman would carry a small, fragrant bouquet to help mitigate the often unpleasant public smells of town while she was out and about. She would hold the bouquet to her 'nose' and it would be 'gay'. The term 'Tussie Mussie' came into fashion during the reign of Queen Elizabeth. Integral to the tradition of the Tussie Mussies was the symbolism of the component plants, as the Tussie Mussie was often delivered as a gift with the "language of flowers" speaking. Brooke's Tussie Mussies are predominately from her own garden. She likes using flowering herbs and scented flowers. 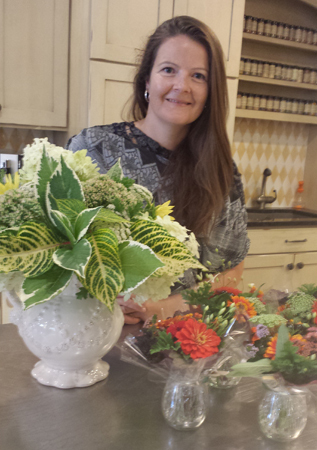 Brooke does not cut the flowers until right before she delivers them to Marcel's so they are truly fresh and fragrant. The Tussies will last close to ten days with fresh water and care to protect them from direct sunlight. Thank you, Brooke, for these visual and aromatic treats! Tussies are available at Marcel's every Friday until Brooke's garden surrenders to the next season. SUSQUEHANNA GLASS is a premier provider of personalized glassware. An American company, founded in 1910, Susquehanna Glass offers a wide variety of glassware styles with the personal touch of a monogram, available in six different fonts and styles. Whether you want to add a personal touch to your home entertainment collection, or give a unique and personalized gift, Susquehanna Glass is a fabulous option. Come in to see the full selection. THE JULISKA signature collection, Berry and Thread, is wildly popular on contemporary bridal registry lists. 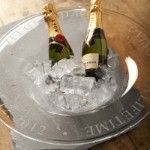 And now, engraving is available to personalize your gifts of Berry and Thread Metalware bowls and trays. 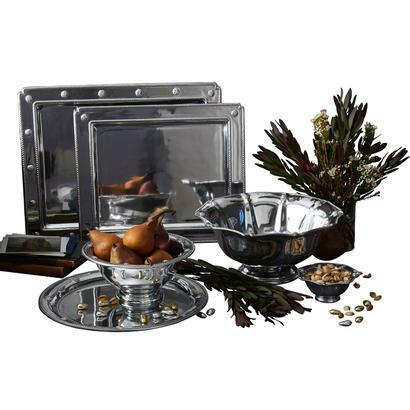 Beautiful and functional, these lovely pieces make wonderful wedding and anniversary gifts. Engrave a monogram, or engrave a personal sentiment that makes your gift one of a kind that will be forever treasured. Come in to see the collection and your engraving options. SIMON PEARCE is handmade in America created from pure, lead free glass using centuries old techniques. Each piece of Simon Pearce is handmade, and no two pieces are the same. Simon Pearce pieces are classic, timeless and handsome. The Celebration Bowl with its strong, tapered base rising to a wide flared rim makes a fabulous wedding gift and begs personalization! Stop into Marcel's now to see engraved samples and choose the gift for your next wedding.